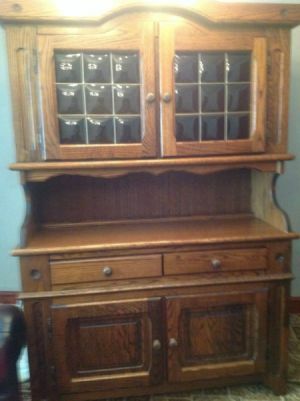 I have this oak cabinet I would like to sell, but don't know how much it would be worth. Could anybody help me? There are several things you need to consider when trying to determine the value of your furniture. First can you locate a name or brand mark anywhere so we can determine who made it. You can then calculate how much it was worth when it was first made and depending on how old it is the value will have either gone up if its old or gone down if its not been to long. 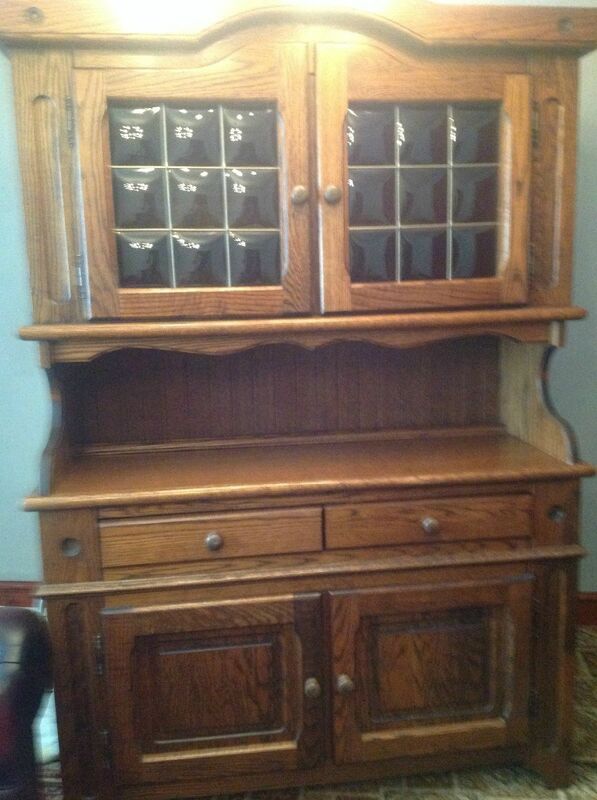 Just in my opinion, it doesn't look like it would be antique but it does look like very nice wood. It seems to look like it has been taken care of well and in good shape. Im sure it once had a dining room table to go with it at one time. Most buffets I've seen such as that usually do. I would say its worth at least $500.00, but that is just me pulling a number out of my head. I could be way off or close to what someone would be willing to pay. I wouldn't let it go to cheap that much im sure of.